Described as “one of the finest singer songwriters this country has produced” by Mike Harding at the Royal Albert Hall, this is a rare opportunity to spend four days with Reg in the delightful surroundings of La Moreau. If ever there was a place to be inspired then it has to be here. Places are limited so don’t delay to book your place and push your songwriting skills to the next level. There is no better way to push your playing to the next level than spending the week learning and playing with a true blues musician . 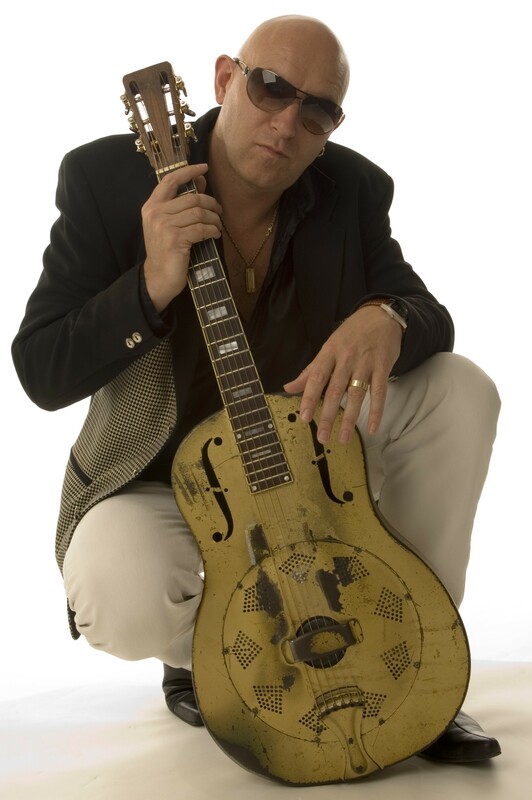 Eddie Martin has been described as « the most remarkable blues man of his generation » by Blues in Britain and as « the Ambassador of British Blues ». He has invested most of his life in studying and contributing to the blues legacy and is in great demand not just as a performer but as an accomplished blues guitar teacher. We are delighted that Eddie has agreed to join us this year. Immerse yourself in wall to wall blues, learning, playing and jamming with other enthusiasts on our great value music workshop holiday. All fans of Diane know that she is based in New York and rarely runs workshops in Europe. Write it!-sing it!- play it! workshop. We are delighted that she has agreed to come back again this year. 15-21 May. Anyone who knows Diane won’t be surprised that she created a great buzz last year. The students arrived with no ideas about a song and left having written,arranged, played and sung their own composition. No mean feat in just a week and all credit to Dianes indominatable energy and enthuisiasm. This year promises to be just as exciting. So if you have dreamed of writing the lyrics for and composing a song, then this workshop is for you. Diane will also run a session every morning giving you the confidence and skills to sing your song in tune! Diane prefers to work with a small group and so numbers are limited to 8 so if you have always dreamed of writing your very own song and are looking for inspiration and encouragement check out our web site. You won’t be disappointed and you can gurarantee you will go home proud of what you have achieved, while enjoying yourself on a relaxed and supportive music holiday. Who isn’t fed up with the non stop rain and snow in the UK this winter ? Although we can’t guarantee the weather we can guarantee that you will have a great holiday on our Acoustic Guitar Workshop with Brook Williams. Hot on the heels of his American tour, Brooks will bring a taste of ‘Americana’ to La Moreau 21-27 April, giving you the chance to learn some of your favorite classics. Treat yourself to a great week in France, enjoying great food, wine and ambiance while learning and playing guitar with this great performer and teacher. Everyone needs something to look forward to at this time of year ! Check out the website www,creativevacances,com for full details and don’t miss the chance of this great one off deal. Thinking about booking a music holiday? What do you look for when thinking of booking a music holiday? Do we teach the instrument you play? We are unique in that we offer a wide range of music holidays for guitar, mandolin, saxophone and even singing. we also cover many genres of music, rock , jazz, blues so whatever instrument you love to play you are bound to find a music holiday to suit you. Tutors- are they good and experienced? Will you come away a better player? Venue? Is it a good holiday location and easy to get to? We are based in South West France, surrounded by sunflowers and vines. A short drive from Cognac and with a micro brewery in the village – it doesn’t get much better!! And so easy to get to. All of the budget air lines fly into La Rochelle airport and then we come and pick you up so zero stress. £575 covers 20 hours of tuition, accommodation, full board with french wine at meal times and transfer to and from the airport. We have been running music workshop holidays here in south-west France for the last five years. Over that time we have always been striving to improve our set up and are proud to now be considered the premier music holiday venue in france. We think that we have now got all the elements for a fantastic music holiday experience in place – tutors who are experts in their fields and all committed enthusiastic teachers, relaxed informal friendly set up and great food and wine. Accommodation, full board and 20 hours of tuition are all included in our great value music holidays. If you want to go on holiday on your own it is ideal. You will be spending the day enjoying make music with other enthusiasts, and the lunch times and evenings are spent eating, drinking, chatting, and jamming late into the evening. Check out our website www.creativevacances.com and see why 50% people who come on a Creative Vacances Music Holiday come back for more. Where better to learn the subtle art of Gypsy Jazz guitar than in its spiritual home of France? Foremost acoustic guitarist Paul Vernon Chester will be running his Gypsy Jazz guitar course at Creative Vacances in July 2013 for those eager to develop their skills in this increasingly popular style. Paul is in big demand as a performer and highly experienced teacher of the Django style with queues forming for his hugely successful workshops. The week in France will be a unique and golden opportunity to learn, develop as a guitarist and gain a deeper insight into the music from a master of the style, in idyllic surroundings and with like-minded musicians, whatever your ability. We have built up a reputation over the years for being the Premier Music Holiday Venue in France but we are regularly asked by professionals to do even more creative workshops. After the huge success of our songwriting workshop this year we decided to extend our range of workshops so that Creative Vacances becomes truly Creative. This year we have added an Abstract Art Workshop with Steve Powell 23-29 September and a Creative Writing Workshop 21-27 October with Stan Cullimore and Peter Joucla. Stan Cullimore has had over 100 books published, some best sellers and many translated into other languages. He writes scripts for television including Basil brush and The Bopps as well as writing for a column for a national newspaper. Peter Joucla is a well known theatre script writer and producer. His productions regularly receive rave reviews. Steve Powell is a highly respected abstract artist from the south of England with works exhibited both in public and private galleries. If you are a fan of abstract painting or would like to try a different genre of painting http://www.creativevacances.com/our-courses/abstract-painting-course/ this week is not to be missed. We hope to extend the range of our creative workshops over the coming months. Steve Powell is an extremely respected abstract artist from the south of England. He has painting exhibited in many public and private galleries. When the chance came to run a workshop with him we couldn’t resist. The dates are 23-29 September 2012. There are many workshops and holidays out there for watercolour and oil painting but very few for abstract art and especially with someone with a reputation like Steve Powell. After this years extremely successful Saxophone Workshop with Andy Scott we are already nearly fully booked for next years planned workshop 5-11 May 2013 and so we are delighted to announce that Andy will be running a second week with us in 2013. The dates have been fixed for 31 March -6 April 2013– during the Easter holidays so that the teachers and students who can only come in the school holidays won’t be disappointed. We already have a number of bookings for this second week. Places on both weeks are limited and are filling fast and so if you would like to join us for either week get in touch . We are only asking for a deposit of £50 at this stage to confirm your place with the deposit being due in November and the balance due 8 weeks before the workshop. Andy Scotts’ Saxophone Workshop in 2012 was a huge success. The week was fully booked and we had the anticipation of a concert with a local French/English choir on the Thursday during the week. Pauline Gordon had written a piece specially for the choir and saxophones which had its world premier at Fontenet as well as Andy playing his piece La Moreau for the first time in public – another world premier. 200 people attended the concert and at the end the choir and saxophonists received a standing ovation. It was a fantastic evening. The workshop for 2013 has now been scheduled for 5-11 May 2013. The numbers are limited to 12 and if we are over booked we have pencilled another date. There will be a less formal concert with the choir at Fontenet and Andy has scheduled in one session a day for rehearsals to leave enough time to cover a wide range of material. Due to popular demand Andy has also agreed to offer a half hour private lesson for each participant. You will need to book early to secure your place of this fantastic week.